Instagram is not a newbie and life changes here like in seconds. With fleeting time Instagram has seen tremendous growth concerning marketing, and thus the expectation with the same in the coming 2019 has surpassed all the levels. So, why not disclose what is going to the top-notch Instagram marketing trends of 2019. Check them out as they are going to be the game changer. 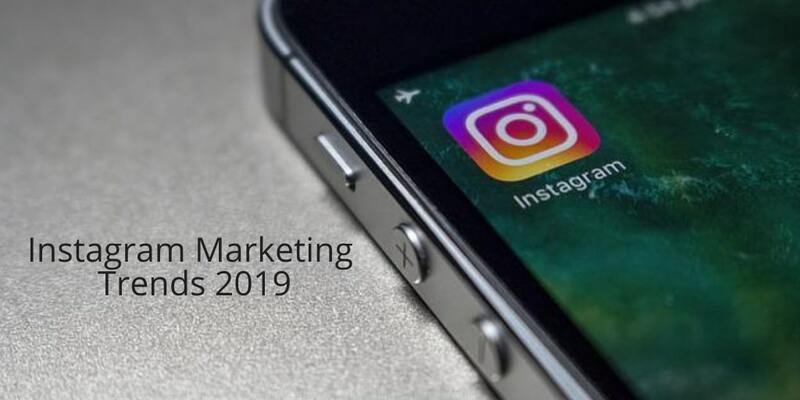 What are the top five Instagram Marketing Trends for 2019? Do people comment you to change the camera angle whenever you tend to upload videos in vertical format? The days are going to change as the vertical videos are going to be the coolest marketing trend of Instagram in 2019. So, start enhancing your skills with your camera angle and learn some more editing skills to outshine your Instastories and profile. And don’t miss to check IGTV; the new-in-the Instagram and an innovative video platform for all. Why? – The reason for this trend to grab the Instagram is because every user of Instagram operates from mobile and there is no denying fact that mobiles are always used vertically and not horizontally. Branding and social media platforms goes side by side. Instagram is one such podium where every big or small influencer, actors, celebrities, etc stays active with millions of followers. So, with coming 2019 the new and micro brands will come into play to target their audience. Why? – This trend will be successful as the small brands will give a place to share their products and services on a global front with the help of interactions and Instagram stories. In the beginning, the Instagram stories were not hit due to its complicated features, but with time it has gone better and better. Now, this very feature will let the influencers, companies, brands to showcase their products on an extensive platform and is in all way a highlight too. Further, it will stay only for a day that is 24 hours and then will nowhere to be found. Why? – This marketing trend will facilitate one to attract more and more visitors to their products, topics, blogs and so on. Many of the Instagram influencers are using this trend from now itself. The new way of shopping has just entered into the market, and that is Instagram shopping. Instagram is embodied with many luring photos, products, tutorials and what not? But when it comes to having that in your closet, there is no option behind. Now no more, as you can shop with Instagram using merely clicking on the link in bio. Why? – It is going to be the coolest marketing trend of 2019 as buying the things that your influencer uses can be possible with just one link. So, it is all about liking the thing and having it in your shopping cart. Are you fond of any filter that your favourite actor, influencer is using. If yes, then you can easily unlock those for yourself too without any hassle. Why? – With this, one can easily stand out from the crowd. Every Instagram user is different, and along with these, they all have their priorities very clear and sorted. So, if you are struggling with how to marketwise on Instagram then without thinking any other thing just keep your eyes on the listed trends right away. These are going to be the best Instagram marketing trends of 2019.